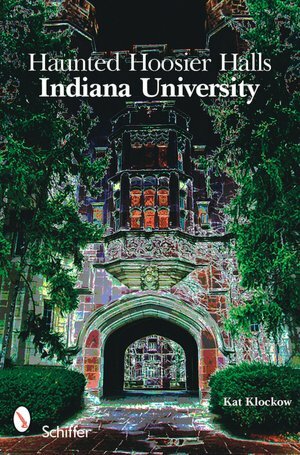 Tour Indiana University’s spooky Bloomington campus and Southern Indiana’s haunted houses and creepy corners. Be introduced to timeless campus ghosts such as the Girl in Yellow of Read Hall who stumbles about looking for her sliced-away face, the shadow dog that growls and patrols the Indiana Memorial Union, and the Lady in Black who has drifted along sidewalks of East Third Street since 1911. The mysterious Buskirk-Showers Mansion is where one might be locked in the restroom or find wine glasses smashed. The Story Inn is where the blue lady might stare back at you from a mirror. Meet the paranormal teams who have investigated notorious haunted locations, such as the Crump Theater where phantom music and fragrances are often experienced and Stepp Cemetery with its many legends and scares. Join the haunts at Hoosier Halls! Available on Amazon.com with Prime shipping!